OLD PARKED CARS. 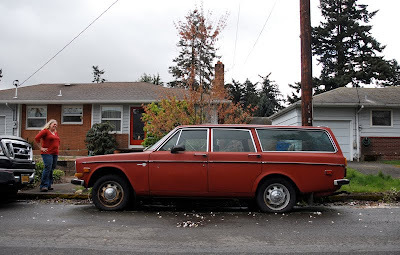 : 1971 Volvo 145s and Lisa. 1971 Volvo 145s and Lisa. 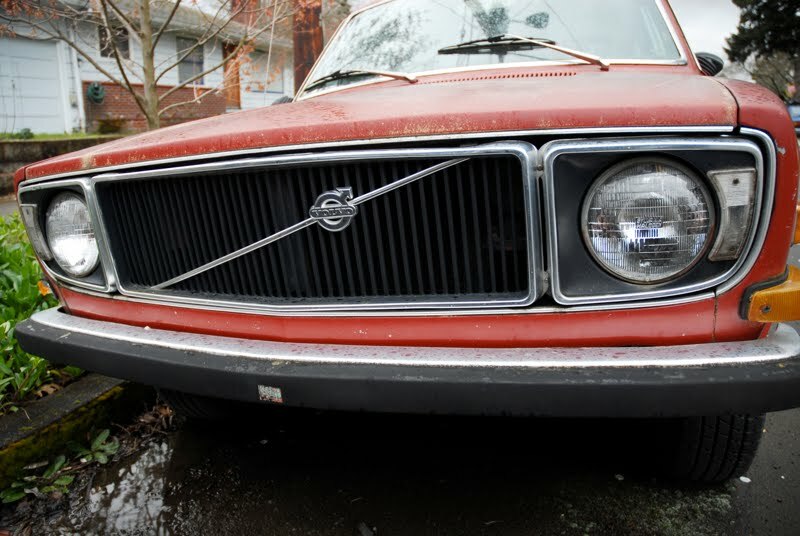 I just had to give some special attention to that beautiful NOS grill that Lisa recently found at a local dealer. 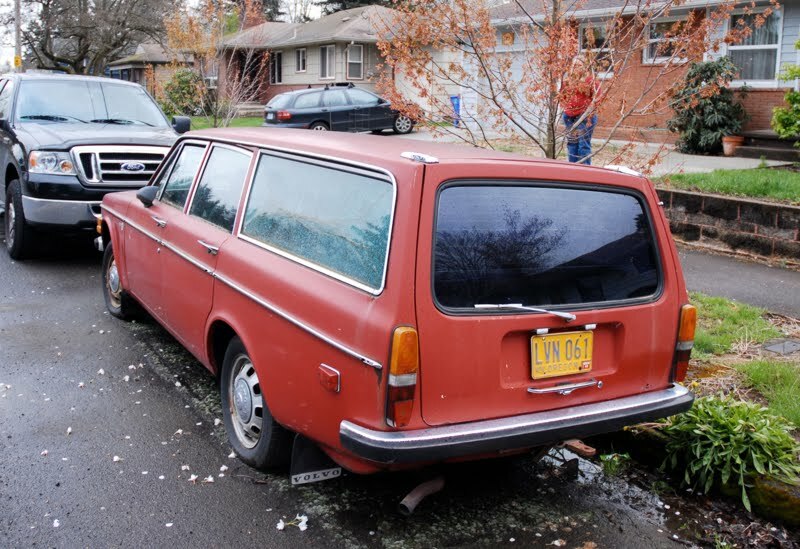 Since the 145s is my favorite Volvo wagon, I asked Lisa if she'd ever consider selling it. She said, "Nope, it's going to be my son's after he and my husband do some work on it". She's the original owner, and only stopped driving it when her husband bought her a brand new Volvo. Ben, Lisa here. 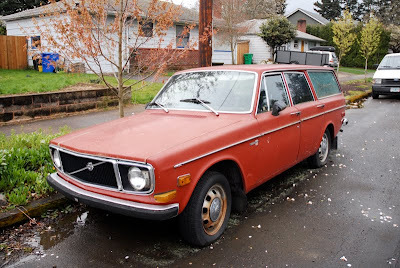 Just wanted to let you know that the old Volvo is on its way to being my main source or transportation. It's in the shop right now being made road ready. Thanks soo much for noticing my "friend"! That car and I have a great history together and I'm proud that it will soon be on the road again! Keep up the great photos!